Trying to think of more side dishes to go with that scrumptious turkey this Thanksgiving? Roasted asparagus is easy to make and great to accompany any special meal. Here is a recipe that we adapted from Paleo Cupboard. Preheat the oven to 375°F. Line a 9-by-13-inch baking sheet with parchment paper or a baking mat. 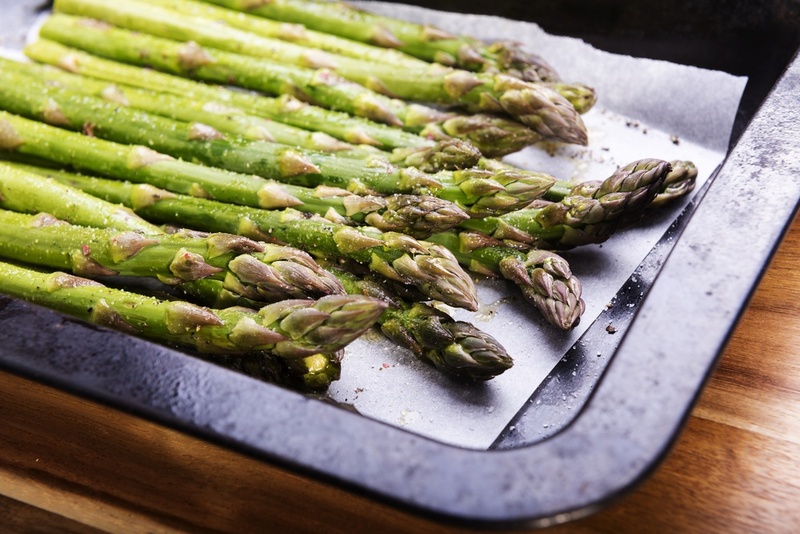 Lay the asparagus on the prepared baking sheet, then pour olive oil over the top. Sprinkle with the salt, pepper, and onion powder, then use the palms of your hands to roll the asparagus back and forth until the stalks are coated on all sides. Make sure that the asparagus stalks are evenly spaced on the pan and there is a bit of room between them, and roast for 9 to 20 minutes (most asparagus will be crisp-tender at around 12 minutes) until tender enough for your liking. Thinner stalks will cook faster, so keep an eye on them to make sure that they aren’t overdone. While the asparagus is cooking, make the sauce: Place the lemon juice, zest, and mustard in a blender or food processor. Turn the blender on low speed, then very slowly drizzle in the olive oil, drop by drop, until the sauce is thoroughly combined and creamy. Place the asparagus on a serving platter, pour the sauce over the top, sprinkle with salt and pepper, and serve.